Huff in Puff — Bon Au Petite! Since my tender elementary school years, one of my favorite wardrobe pieces come Fall was a lightweight and sporty, yet warm and cozy, puff jacket. Even today, it still remains one of the most practical fashion pieces you could think of. It honestly does a way better job at protecting you from the rain, wind, snow and other grimy elements you might encounter on your daily grind in New York City, much better than any fur coat could, be it real or faux. And if it gets a bit too warm or you need to suddenly appear much sharper-looking, it could easily get compactly stuffed away in a medium-sized tote. One can only imagine how excited I was to see the resurgence of this early-nineties trend! My current favorite is this oversized piece by Tommy Hilfiger. Not only is it practical and everything else mentioned above, but also looks the part, which means that now you don't have to stuff it away when visiting ritzy places! 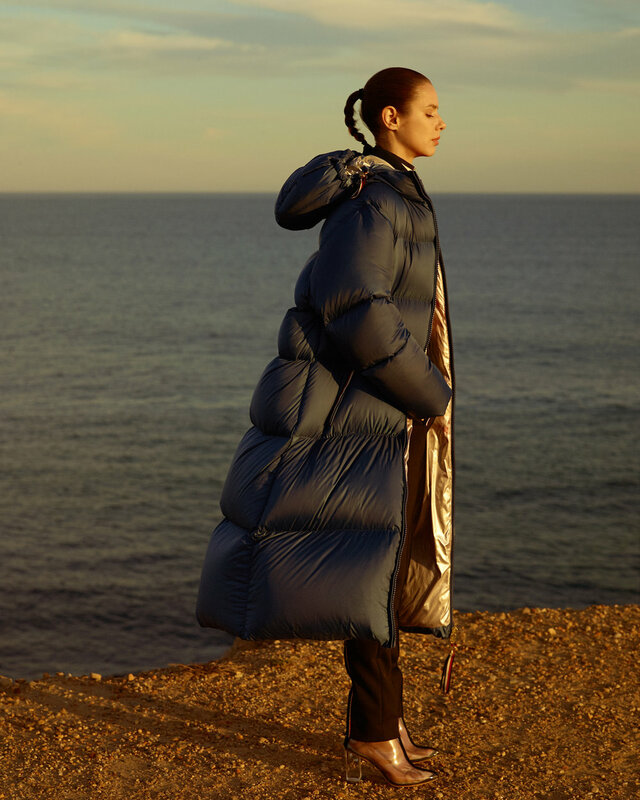 Tommy Hilfiger Track Top , Track Pant, and Oversized Down Puffer. Revolve Raye Bootie, Darner Socks. A fresh dose of Autumn pastels.